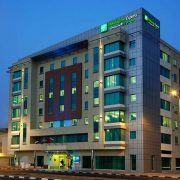 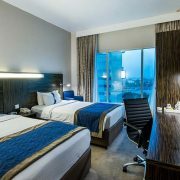 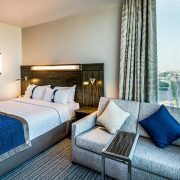 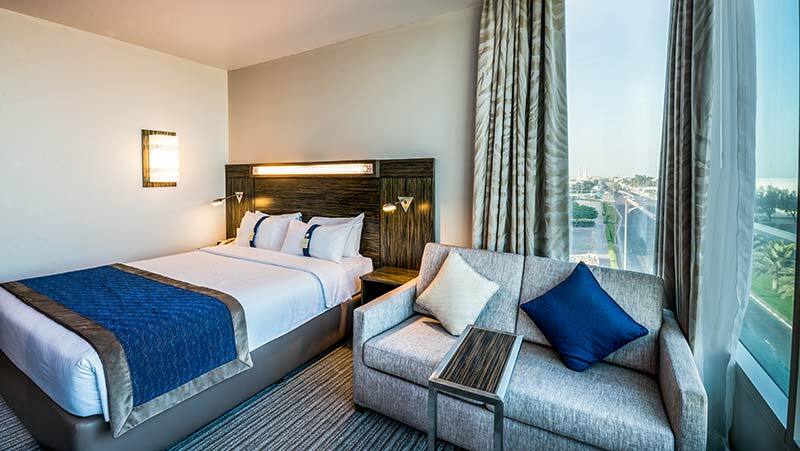 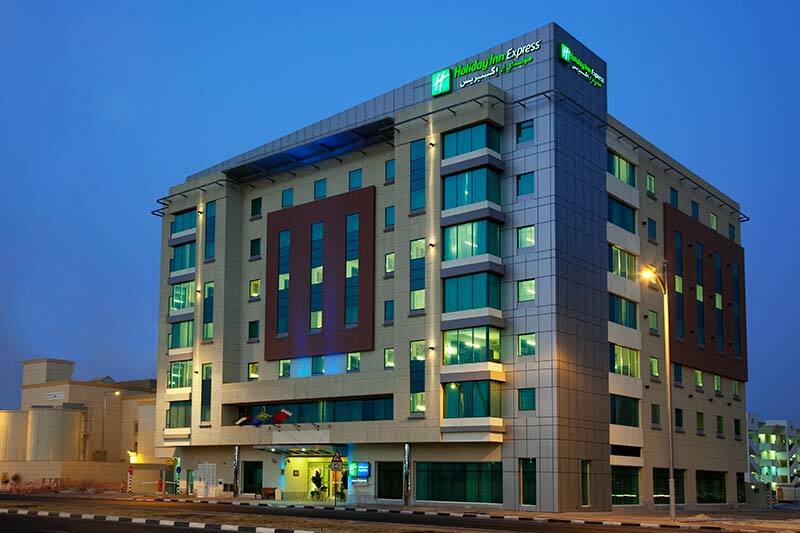 Holiday Inn Express Dubai Jumeirah is located in the popular Jumeirah area, close to the major business district of Dubai, incorporating the Burj Khalifa, Dubai International Financial Center, Business Bay and the Dubai World Trade Center which is equipped with 193 rooms. 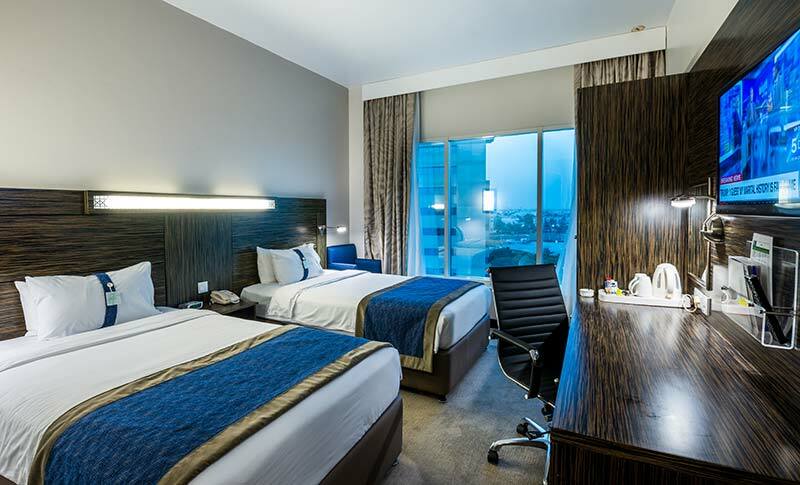 Hotel is 10 minutes drive from Dubai Wold Trade Center and exhibition arena. 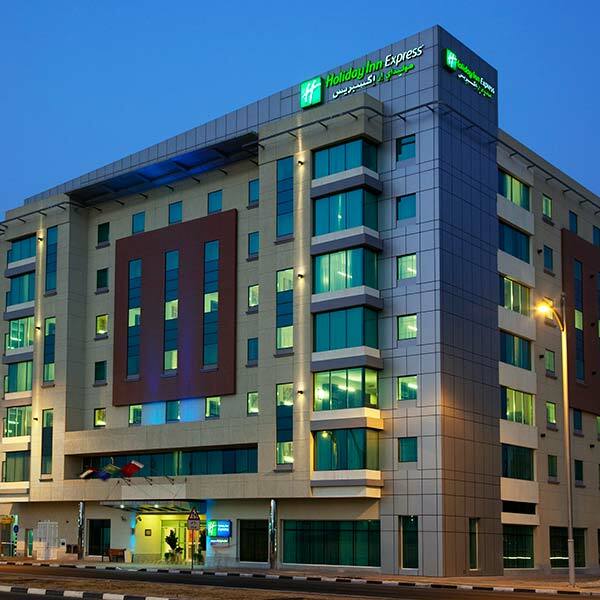 The hotel is 20 minutes from Dubai International Airport. 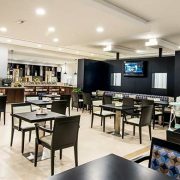 Guest would enjoy with our buffet express breakfast, free basic internet access in room and in the lobby area, complimentary tea/coffee facilities , free onsite parking for in-house guest, 24-hour free fully equipped gym and Interconnecting rooms available .